COLUMBUS — Ohio Secretary of State Jon Husted today announced that as part of an ongoing effort to keep voters on the rolls, more than 275,000 notices are being sent out by county boards of elections to voters who may be removed from the Statewide Voter Registration Database as part of list maintenance processes. In addition to the last chance mailing, Husted said voters haveopportunities to update or confirm their registration before being removed from the rolls. Over a six-year period, voters are contacted by county boards of elections to confirm their registration, have at least 12 elections in which to participate, receive absentee ballot applications in even-numbered year general elections, and have their information automatically updated following any transaction with the Ohio Bureau of Motor Vehicles (BMV). If a voter ignores these attempts to keep them on the rolls and is removed, they can easily re-register online in minutes at MyOhioVote.com. Last chance mailings were first announced by Secretary Husted in July 2018 as part of a set of voter-focused initiatives to promote civic engagement and keep the voter rolls updated. Additionally, these efforts included new online notifications for voters about changes to their registration status at MyOhioVote.com, and utilizing data from the BMV to confirm a voter’s address. As outlined in Directive 2018-22 and Directive 2018-39, county boards of elections are required to mail out last chance notices 30 to 45 days prior to canceling any voter’s registration. 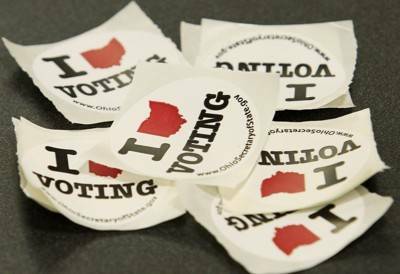 The more than 275,000 notices going out — most of them to voters who have likely moved out of state or are deceased — are being sent as part of the National Change of Address and supplemental list maintenance processes, both of which are administered to ensure Ohio’s compliance with state and federal laws to maintain accurate and up-to-date voter lists. Voters receiving one of these notices who want to remain registered to vote should fill out the requested information and return the notice to their county board of elections. Additionally, anyone wanting to check the status of their voter registration can do so at MyOhioVote.com. The site enables users to quickly and easily check their registration status, update their voting address, and register to vote online in minutes.